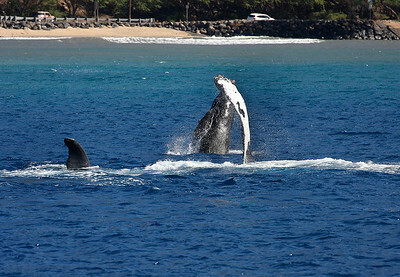 Sideways breaching, Ma'alaea Bay, Maui, 20 February 2011. 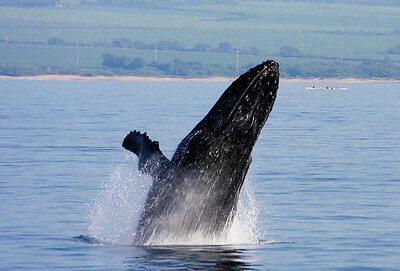 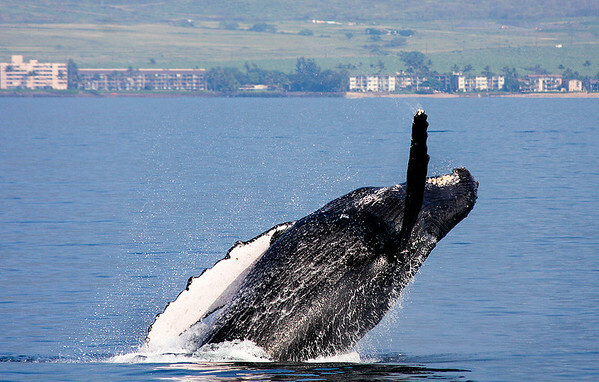 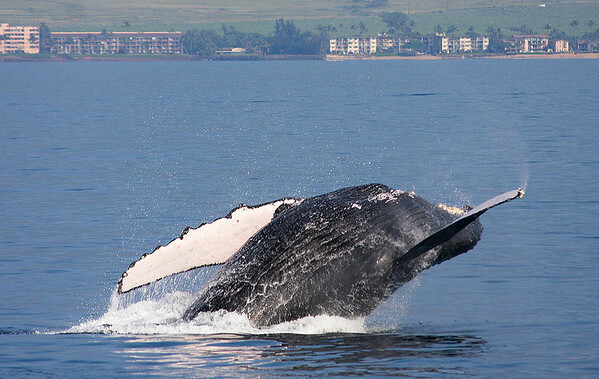 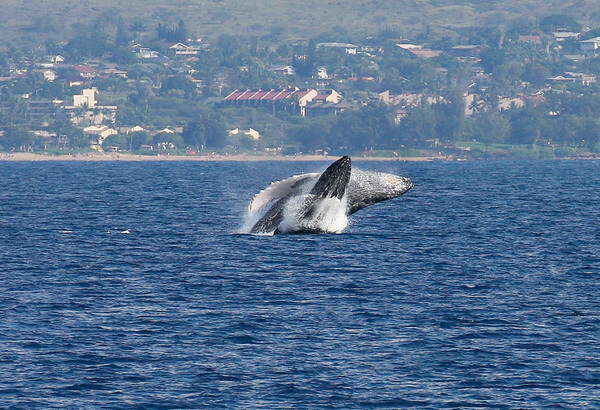 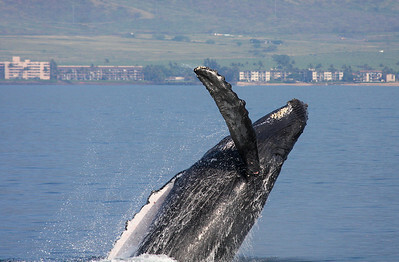 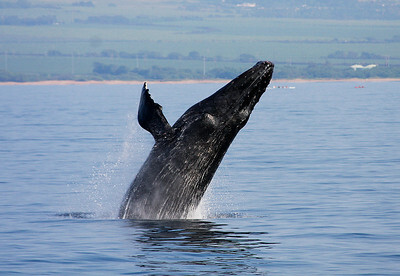 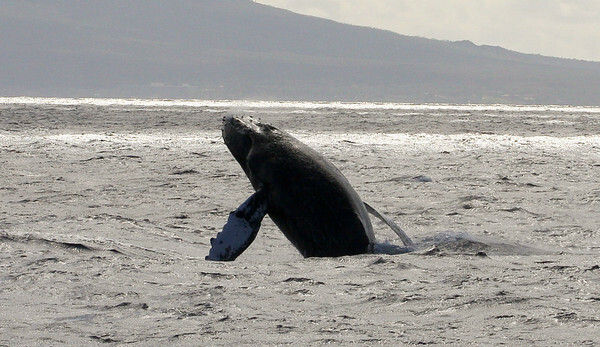 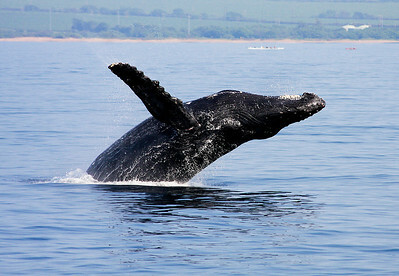 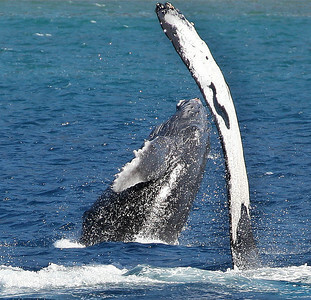 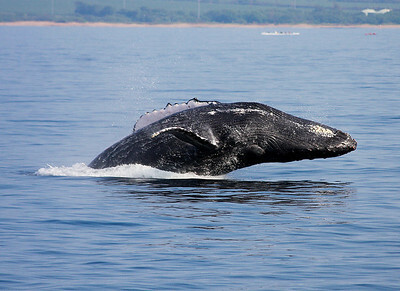 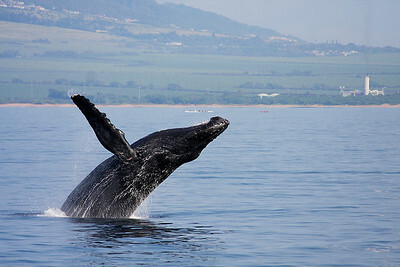 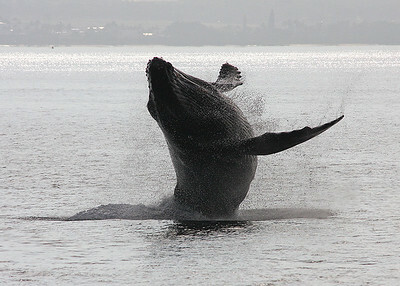 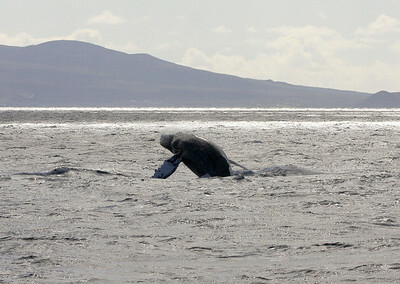 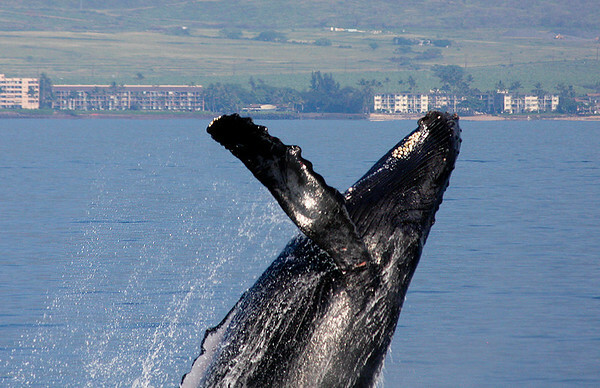 A large mature Humpback performs a nice sideways breach, showing off its ventral pleats (linear grooves on its underside). 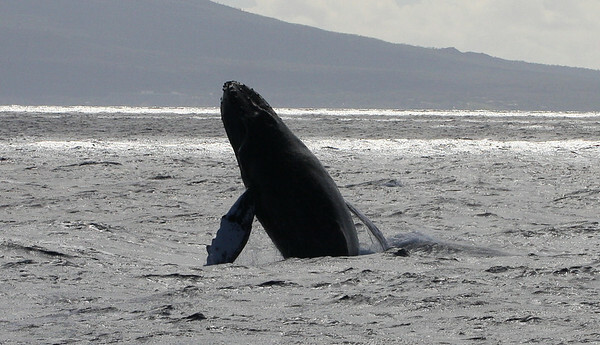 20 February 2011. 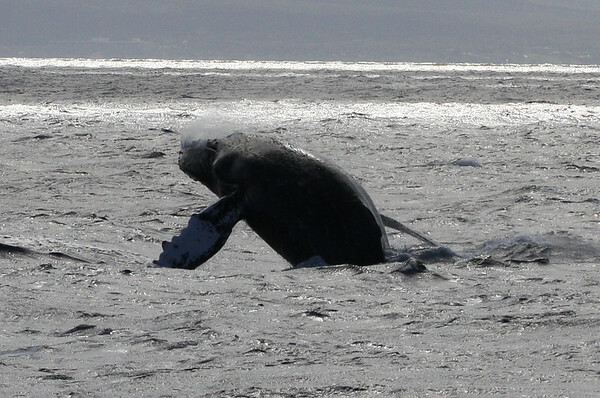 As its mother rolls over on her side to do some "pec-waves", a new calf practices breaching offshore from Ukumehame, leeward side Maui. 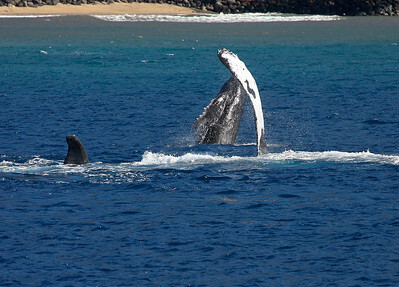 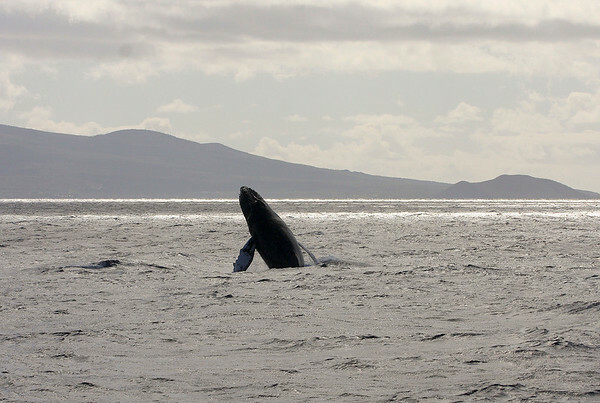 1 February 2013 This photo demonstrates the strongest (and ONLY long-term) bond in the Humpback's world: that of a cow and her calf, which lasts for about a year after the calf's birth. 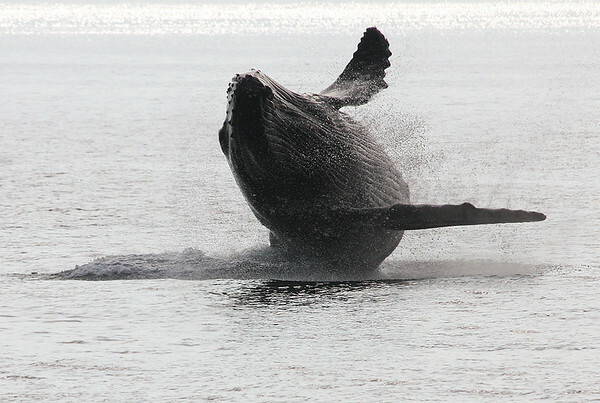 It's believed that the mothers of newborns encourage this and other energetic behavior in order to strengthen their swimming muscles in preparation for the long journey back to the Alaskan waters. 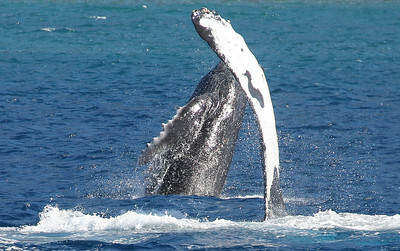 A large mature Humpback performs a nice sideways breach, showing off its ventral pleats (linear grooves on its underside).